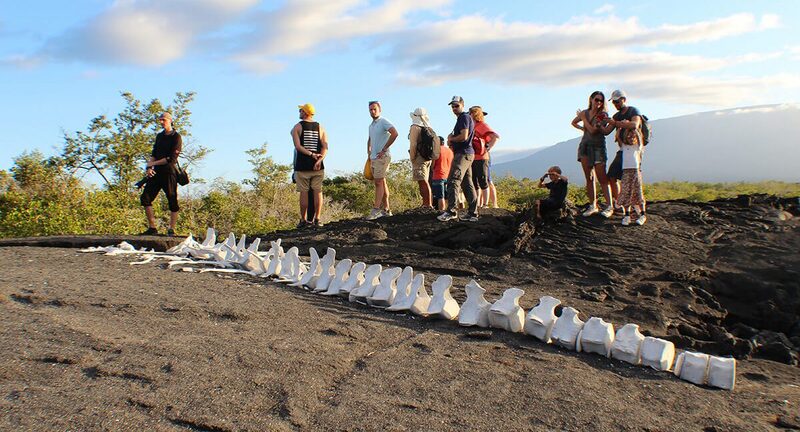 The first pilot plan to carry a message of environmental conservation through the experiences of care in the Galapagos Marine Reserve (RMG), began in the archipelago with the participation of students of second year of high school, within the Student Participation Program of the Directorate of the Galapagos National Park (DPNG): 22 students were allowed to dive, monitor and be part of the sharks marking, which received 100 hours of experiential environmental education with conservation technicians (park rangers). The pilot plan provided a new alternative for student participation, framed in environmental actions. 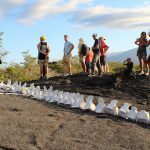 In the period 2017-2018, activities such as intertidal monitoring of fish, marine iguanas and other species are included; discovery diving, fishery monitoring and vessel surveillance exercises, with the backing of the Ministry of Education and the support of Galápagos Conservancy. The DPNG also works with the students of San Cristóbal and Isabela in the projects of control and monitoring of introduced species in the protected area and reproduction of endemic and native seedlings of Galápagos and reforestation of altered ecosystems. 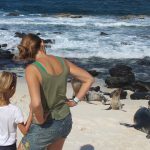 Without doubt, this is a magnificent project that conveys hope for Galapagos. The newest generations should get involved in the welfare of the Enchanted Islands that are threatened for hundreds of human and natural factors. In order to strengthen our commitment to the environment, we avoid the use of short life cycle products to minimize contamination; we promote the sustainable reuse of organic waste, and we have a wastewater treatment system with environmental quality standards. Fragata Yacht is committed to the environment and the welfare of the Galapagos Islands. We offer you the best itinerary at a very affordable place. For further information please communicate with us, it will be a huge privilege to assists you!